Free High resolution photo of white crabapple in bloom. 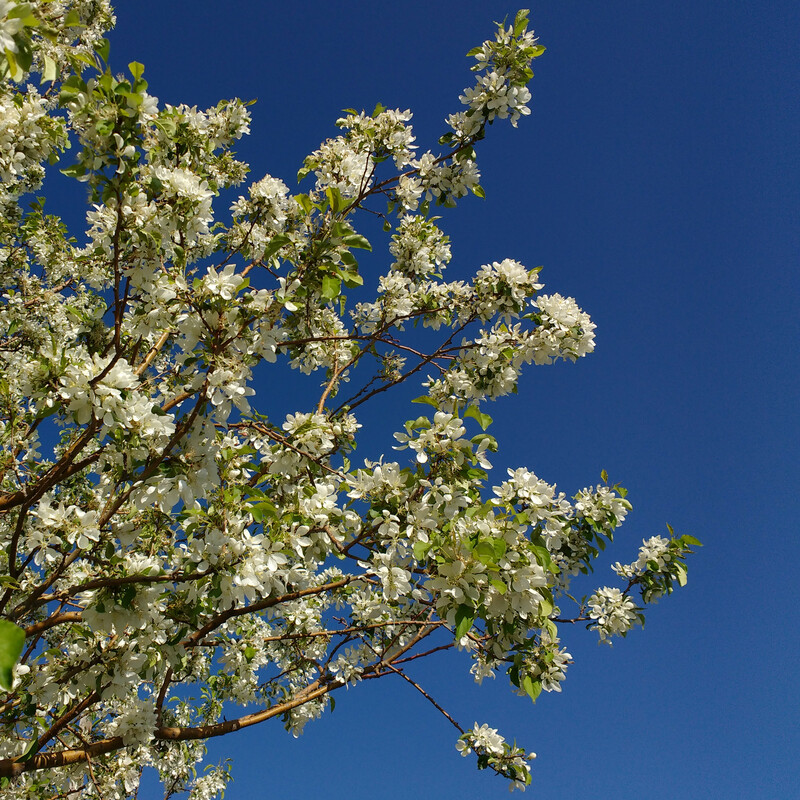 This photo shows branches of a crabapple tree covered with small white flowers or blossoms. In the background you can see a brilliant blue cloud free sky. Free photo for any use.